Darnlee, constructed c. 1899 by builder J. Gibb, was designed by architect Leonard J. Flannagan for Mr C. McIntyre. It was a private residence until the Second World War when it was used as a hostel for the WAAF. 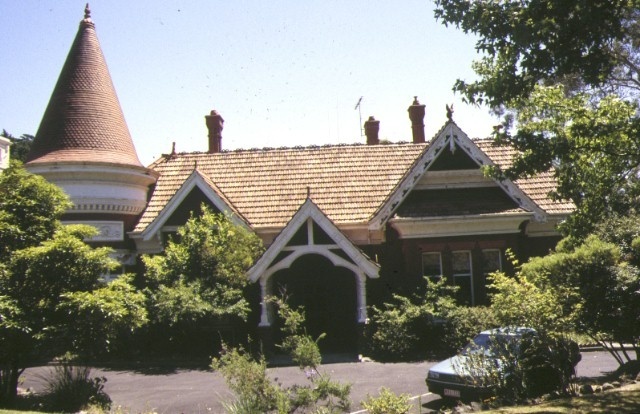 Subsequently Darnlee has been occupied by the Health Department, serving as a tuberculosis rehabilitation centre, and the Department of Education, and was converted into an aged care facility in the late 1990s. Darnlee is a finely detailed and essentially intact example of a Federation Queen Anne style residence. It is particularly noteworthy for its numerous gables and elaborately carved bargeboards, its ornamental terracotta finials, and its corner tower with a steeply pitched conical roof. Of particular note is the use and execution of timber decorative and structural elements; the front gable is decoratively carved and heavy turned timber columns support the timber framing of the entrance porch. The entrance also retains its original leadlighting around the front door and the encaustic tile pavement. Much of the internal elaborate plaster ceilings and cornices, fireplaces and surrounds, panelled timber doors with distinctive architraves and stained glass panels are intact. Darnlee is of architectural and historical significance to the State of Victoria. Darnlee is of architectural significance as one of the best and most intact examples of Melbourne’s Federation Style architecture. 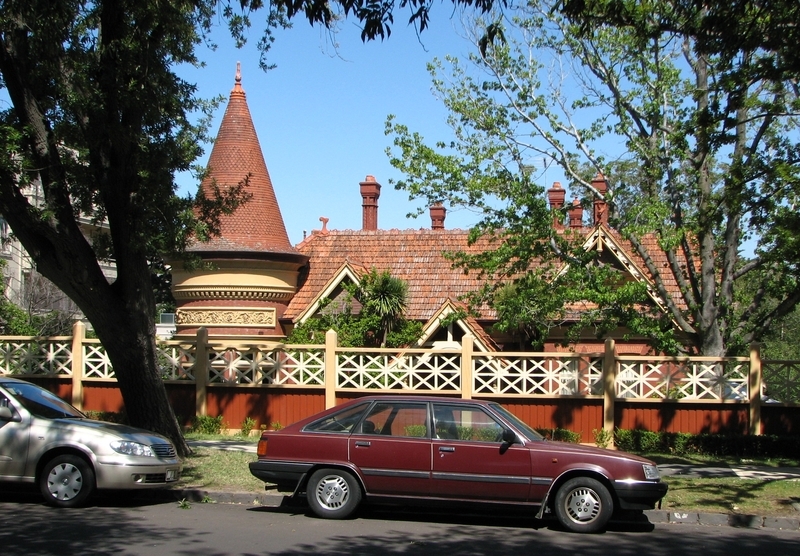 The Federation Queen Anne style was the dominant style in Australian domestic architecture immediately before and after 1900, reflecting the influence of the revival of Queen Anne architecture in England from 1870. Darnlee is a particularly finely detailed and essentially intact example of the genre. Darnlee is of architectural significance as an important example of the work of the notable architect Leonard Flannagan (1864-1946? ), whose designs included many dwellings, several churches and convents and works for the Prahran and Malvern Tramways Trust. Darnlee is of historical significance because it provides evidence of the way of life of prominent families of early 20th century Melbourne. A number of influential Victorian families owned the property, including the McIntyre family, the Winter-Irving family, the Riggal family and Sarah McKay, widow of HV McKay, the inventor of the Sunshine Harvester and important early Australian industrialist. 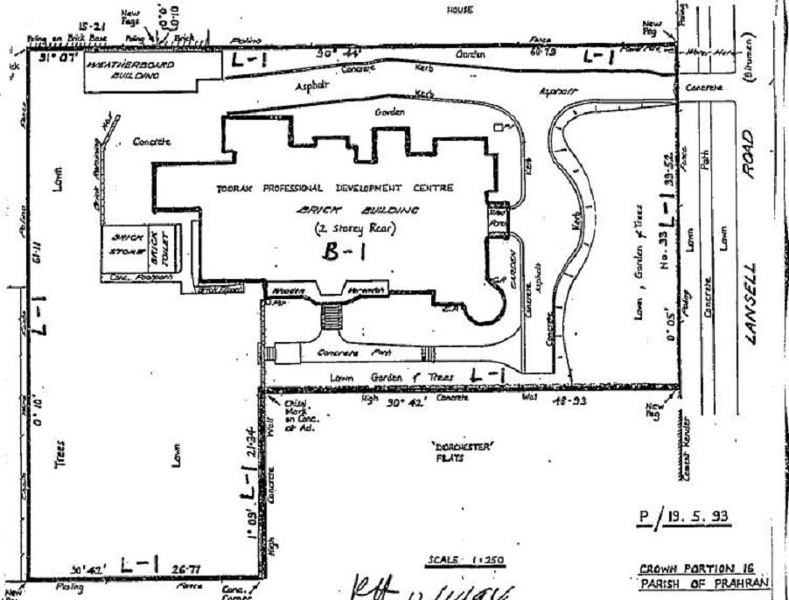 Darnlee, 33 Lansell Road, Toorak. 1. All of the building known as Darnlee, excluding the brick store and toilet building and the weatherboard building, marked B-1 on Plan 604683 and endorsed by the Chairperson, Historic Buildings Council and held by the Director, Historic Buildings Council. Between 1924 and 1927 the house was known as 'Somercotes'. Between 1927 and 1949 the house was known as 'Rays del Sol'.